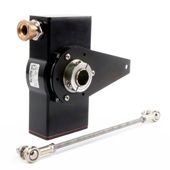 Hazardous area encoders are used where flammable liquids, vapors, gases or combustible dusts are likely to occur including oil & gas exploration, grain silos as well as paint and other chemical production. 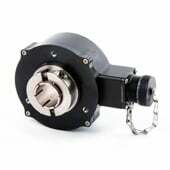 Dynapar offers several rotary encoders designed for these environments with varying degrees of zone and class/div protection ratings and certified by organizations including UL, ATEX, IECEx and CSA. 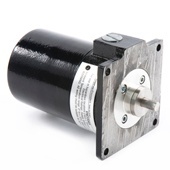 Intrinsically safe encoders are used in conjunction with a barrier which limits the energy in the encoder so that any arcs or sparks do not have enough energy to ignite. 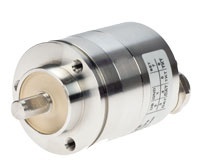 Dynapar's flameproof encoders are designed to withstand an internal explosion and include an internal flamegap or labyrinth to allow escaping gases to cool before leaving the encoder. 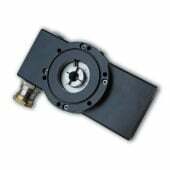 Dynapar also offers encoders with encapsulated electronics which have their components encased in resin. 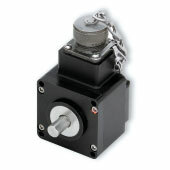 Rugged explosion proof incremental encoder with cast iron housing approved for NEC Class 1&2, Div 1&2, Groups C,D,E,F,G. 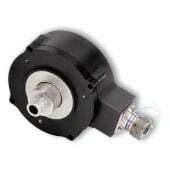 Absolute encoder with IP66/67, 200G shock and 30G vibration rating. ATEX and IECEx certified. 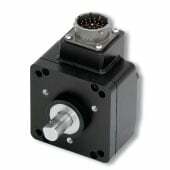 CANOpen or SSI interfaces available. 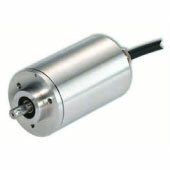 ncremental encoder with encapsulated electronics with increased safety interface eliminates need for IS barrier. ATEX, CSA and IECEx triple certified. 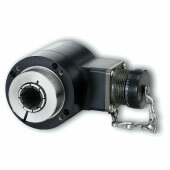 Incremental encoder, IP67, 400G shock, 20G vibration rating. Optional dual isolated outputs for redundancy and field serviceable connectors.